The following information is taken from Wikipedia. 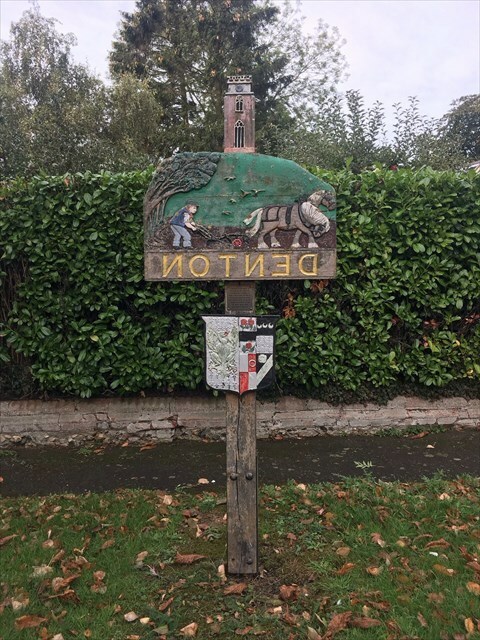 Denton is a village and civil parish in the county of Norfolk, England. At the 2001 census it had a population of 352 inhabitants living in 149 dwellings, reducing to a population of 326 at the 2011 census,. 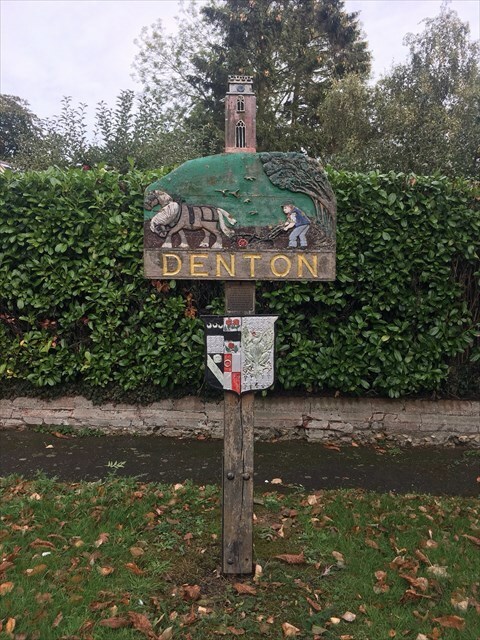 Located on the southern edge of the county, Denton has an area of 10.11 km2 (3.90 sq mi). The nearest towns are Harleston and Bungay. To the south lies the river Waveney (the boundary with the county of Suffolk), to the west Alburgh, to the north Topcroft and Bedingham and to the east Earsham. It is a very active community and in 2008 came first in the Under 500 population category in the annual Pride in Norfolk Community Awards. It then went on to win the East of England competition in the 2009 Calor Village of the Year Competition. The Church of Denton St Mary is one of 124 existing round-tower churches in Norfolk. Its original round tower fell probably in the 16th century, and was repaired in the most economical fashion, built of brick and square, but retaining the eastern curved part built of flint. To the north-west at Darrow Green are the surviving earthworks of Denton Castle, a small medieval motte-and-bailey castle. The sign depicts a farmer ploughing a field in front of the church.